Master Builders Pre-Apprenticeship Program is the first step you should be taking! Master Builders have created a program with a holistic approach to preparing you to become the best quality 1st year Carpentry Apprentice! As a Pre-Apprentice, you will learn to handle carpentry tools and equipment, complete small projects and learn to work as a team in a simulated site and workshop environment. You’ll receive training in first aid, site safety, maths skills needed on site and how to best handle your pay through the Governments’ Money Smart program. Plus you’ll hear from people currently working in our industry. Apprentices, Tradies, Sub Contractors and Business Owners will talk to you about their career and answer questions so you have a greater understanding of what this awesome industry is all about. As this training is subsidised by the NSW Government, there is no cost to you. Our Pre-Apprenticeship Program starts in November 2018 at our Master Builders Education Centre in Norwest. Candidates who have completed Certificate II in Construction or Construction Pathways courses as part of the HSC can apply for the following programs. 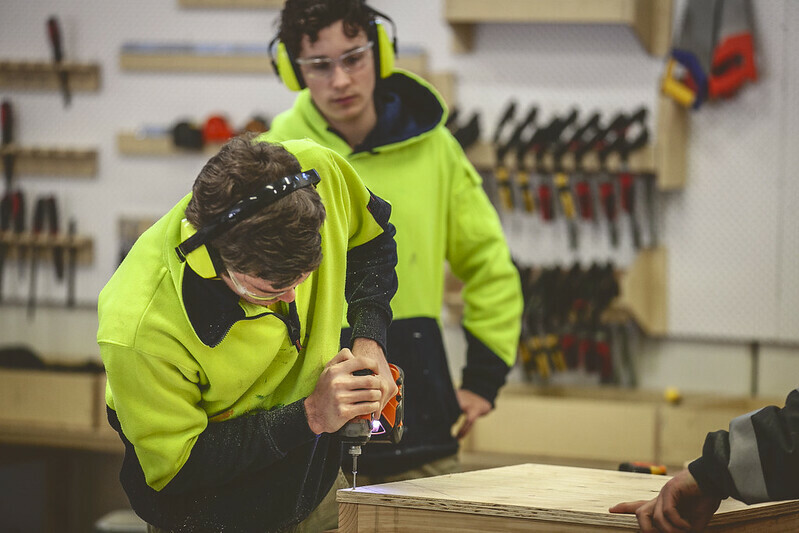 This 2 week program has been specifically designed to strengthen and extend your knowledge and skills to transition from vocational educational training (VET) to a carpentry apprenticeship. If you can commit to the 4 week program (non TVET) or 2 week program (TVET or Pathways qualified) and meet the criteria above, call us on (02) 8586 3533 or complete the form below and we will be in contact.